This guide introduces new players to the various (custom) NPCs that offer useful services on Ragnarok Frontier. It tells you where NPCs are located and what they do. The Class changer is located in Prontera, in the building South-West of the fountain. To change your job to a First Class it is free, but you will need to be job level 10 for a novice. Don't forget to use up all your skill points or else she won't change your job! To change your job to a Second Class you must be job level 40 (50 preferred) as First Class and pay her 60,000 zeny. Don't forget to use all your skill points too! You must change your job to what your First Class allowes you to become. For example an Acolyte can only become a Priest or Monk, not something else! The Teleporter is located in almost every town on Ragnarok Frontier. You can buy a teleport to other towns or dungeons for zeny or use a teleport credit. Teleports are free for novices. Teleport credits can be bought in the Furies Inc. main office. The credits cost less than the regular teleport fee. Visit Growler in the Furies Inc. Headquarters in Alberta for a teleport membership! The Teleporter also heals HP when you talk to him. The Kafra Corporation offers different useful services, such as storage space, cart renting service and saving your respawn point. Every time you use the Kafra services you will receive points. You can redeem these points for a Lottery Ticket in the Kafra Corporation Headquarters. You can win various items in the Kafra Lottery. The Kafra Headquarters can be found in Aldebaran (51, 218). The Mailbox lets you send and receive messages and items to other players in Ragnarok Frontier. For a small fee you can access this service. The Mailbox is for each individual character, not account! So if you decide to delete a character, you might want to check your mailbox first to see if there are messages and/or items in there! The Mailboxes are located in all the big cities near the Teleporter and Kafra. Making a good build can be difficult, or frustrating if you make a mistake. The Skills Guru is here to help you create your perfect build! He will reset your skills, stats or both in return for a fee. This fee is based on your Base and Job level. But be warned, the higher your level, the more you have to pay! So think over your build carefully. To make use of the Skills Guru's skills, visit him in Kunlun (36, 16). Merchants, Super Novices and Hunters beware, you need to remove your cart or falcon before you can use his service. Visit the Hair Stylist in Prontera at 87, 91. Sick and tired of looking the same like every body else? Want to try on a new colour? Our Stylist can change the colour of your clothes to make you more unique. In order for him to do this you will need to purchase a Clothing Dye Coupon from the Cash Merchant. There is two colour choices for each job class. If you want to change back to your old look purchase a Clothing Dye Coupon 2 from the Cash Merchant. 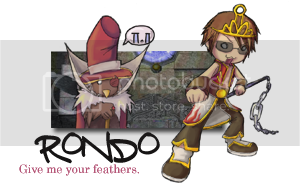 Visit the Clothes Stylist in Prontera at 87, 91. Found the love of your life in game? Want to get married to this person? The wedding staff at Prontera Church (237, 317) will make your wedding an event to remember. Visit them with your loved one and you can get hooked up right away Vegas Style. No big receptions or parties needed. Just bring enough zeny, a wedding dress, a tuxedo, rings and maybe some friends and Bishop Vomars will take care of the ceremony. The love of your life not exactly what you thought it would be? Craving for the wild single life again? You can get a divorce from the Divorce Deviruchi in Niflheim. But be warned you will have to pay a fee to get a divorce. After that you are a free man/woman again, and you can go hook up again with someone else. The Divorce Deviruchi can be found in the building in Niflheim at 166, 162. Need to buff up your the amount of weight you can hold? Saint Gravity will do just that, up to 10 times you can use a Gym Pass to increase the weight you can carry 200 each time. Need help finding a party? Need to advertise a Battlegrounds party? MVP, PvM, Memorial Dungeons you need a group? Talk to the Adventurer he'll announce your need for a small fee (2,000 zeny). ah this will be usefull! Perfect guide for everyone. This could really help out the new playes especially. When you change class with the class changer do you still get the slotted garment item? I remember back then when you change at level 50 vs 45 you get a 500k worthed slotted garment I forget the name of it lol...sorry for brain fart. No I don't believe you do. You have to do the job quest itself to get items. If you're job 50, you usually get better items.